From cat videos and singing babies to political satire, memes are one way that we share big cultural ideas. According to Social Fresh, “a meme is a categorization of a cultural trend or truth, a unit for communicating and collectively sharing cultural ideas through words, symbols and pictures.” Memes are interesting from a marketing perspective because they tend to go viral: they resonate and gain momentum and exposure. Whether you create the meme or just spoof it while it’s hot, memes offer interesting room to for marketers to get creative. While they are mainly for fun and entertainment, there is a lot of marketing potential behind memes. Memes have been described as being “infectious.” Instead of just passively sharing memes you enjoy, what if you set out to strategically use memes to distribute your content? When used effectively, businesses can create buzz around products or services and get massive exposure in a short period of time. 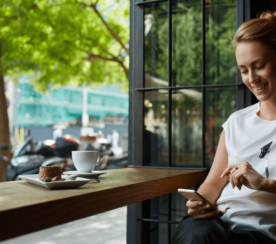 Here are some ways you can use memes to your advantage and integrate them into your marketing campaigns. To get a better idea of the power of memes for marketing, let’s look at two recent examples. First, there is the infamous Honey Badger Don’t Care meme. The video features a Honey Badger, an animal known for its ferocity and for never backing down no matter the cost. During the video, the Honey Badger goes great lengths to get food including being bitten by a Cobra and stung by a swarm of bees. It’s narrated by a random guy named Randall who adds to its comical quality. What started out as a YouTube sensation led to the company Wonderful Pistachios jumping on the meme and creating a spoof video for their campaign. Another recent meme people couldn’t get enough of was the Harlem Shake, which is a music video that debuted on YouTube in February 2013. In just a short period, different versions of the video were created by companies including Google, Pepsi, Facebook and McDonalds just to name a few. The NBA’s Miami Heat created their own take which took the sports world by storm. 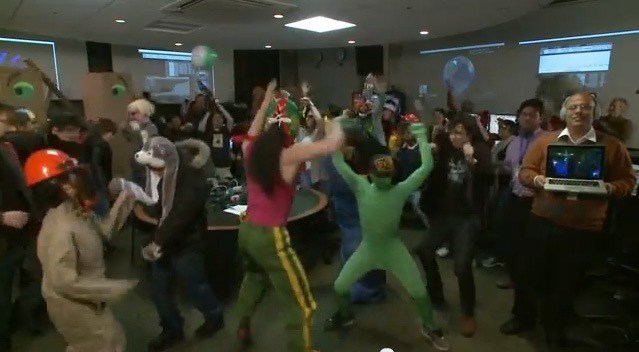 Although the trend was short lived, the Harlem Shake was a light hearted way for numerous companies to connect with their consumer base. If you’ve decided that you want to take advantage of a meme in one of your marketing campaigns, here are five specific things to keep in mind. The most important part of capitalizing on a meme is not waiting too long. Like most things in pop culture, there is an inherent short shelf life to memes. They follow a pattern: catching on, escalating in popularity, peaking and then gradually falling by the wayside. That’s why it’s so important to get on board while a meme’s popularity is growing and not waiting until it’s played out. Jumping on right away positions your brand as a trendsetter. Waiting until a meme is stale can actually have a negative effect, because consumers see your brand as awkward and behind the curve. It’s possible to stay on top of trends by routinely checking Know Your Meme. As the go to site for everything meme related, it will keep you abreast on what’s popular and what’s trending. There is also a section where you can submit your own ideas for memes. Follow social media sites like Facebook, Reddit and Pinterest to see which memes people are sharing. When you notice that a particular meme is getting a lot of shares, that’s a trend to pay attention to. The most important factor is developing your own internal barometer of where a meme is in its lifecycle. It’s also helpful to consider production time on anything you’re creating – if something takes a month to develop, it’s hard to know if a trend will still be hot. You have to select memes that are relevant to your audience and to your brand. If you have to introduce your customers or prospects to a meme before they see your spoof, it’s not going to work. Content must engage and resonate with the people you’re trying to reach. The Harlem Shake, for example, was fairly mainstream; the vast majority of people were at least somewhat familiar with it when the barrage of spoof videos appeared. That’s why it worked so well and was used by many companies. Jumping on a meme that doesn’t click with your audience is simply be a waste of time and can potentially cause a rift between you and your target audience. When deciding which meme to focus on, see what your social media followers are saying about it. If your followers are sharing it, you could have a marketing goldmine on your hands. Otherwise, move on. Meme based marketing is highly opportunistic, and should only be used when the right factors align. The cost or time to create something good could be prohibitive or mean that your window has passed. It can be expensive to piggyback on a meme. On a small scale, creating a video of employees dancing and singing along to Carly Rae Jepsen’s “Call Me Maybe” can be done for cheap. All it takes is a video camera or smartphone. On a larger scale, the Virgin Mobile “Success Kid” campaign cost significant money to buy the rights to the image from the Success Kid meme for use on billboards nationally. Ensure that you’ve budgeted appropriately before you tackle this kind of product. Simply reproducing the meme is often not enough. Try to be as innovative and creative as possible so that the end result builds your brand. Putting a fresh spin on a meme while maintaining its original message is a big part of being successful and connecting with your target audience. For meme marketing to be successful, you need to have a distribution plan that gets it in front of consumers as quickly as possible. Social media channels can be a powerful catalyst for exposure. 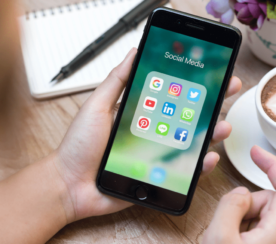 Facebook, Pinterest and Google+ tend to work well because people can immediately see the image or video screenshot on their feeds. Meme marketing is a good fit for social media, as it can have a powerful humanizing effect on your brand. Social bookmarking sites like Reddit, Digg, Delicious and Stumbleupon can also help memes spread quickly. Always include social share buttons around the content for maximum visibility. This also results in increased social signals, which have been shown to play a role in improving search engine rankings. In addition to pushing out content through standard channels, memes can also be submitted to various syndication sites. The content can also be repurposed and added to your blog, newsletter, and more. Invest the energy needed to get your portion of the meme out to your audience. Continuing to use a meme after its popularity has waned is a bad idea. It makes your business seem like it’s out of touch with pop culture. That’s why you should understand that your content will only be relevant for a limited amount of time. Memes are continually popping up and what was hot a few months ago may have barely any relevance now. Make the most of your meme window, and be diligent about letting it go once its popularity has past. The unending stream of memes means plenty of opportunity. There’s always something fresh out there. 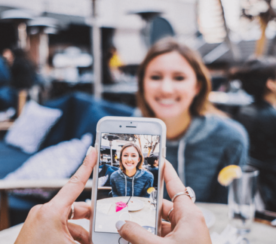 Although you can’t expect to maintain steady traffic and exposure from a single meme, it’s likely that a sizable number of people will return to your site and potentially make more purchases in the future. Has your business had a marketing success building off a meme? Let us know what you did in the comments below.